Story of someone who wanted to join the army, but with tough decisions. 'I have to go!' Cried Johnny. 'I'm old enough now, and I'll bring my teddy bear along too!' 'Johnny, your 18 and you still have that teddy bear?! that shows me you wouldn't last a day!' Johnny's father said. 'That bear gives me memories.... Besides, Brutus went in the war, so why not me?!' Johnny exclaimed. 'first off, you have no job, second off, your name sounds like a three year old's name, third off, you eat too much, and you'll starve in the war.' his mother said. 'You know what? I think I'm old enough to go by myself. to avenge those who died at Pearl Harbor!' Johnny, who now tells me he wants to be called Jones, went to a recruiting station. 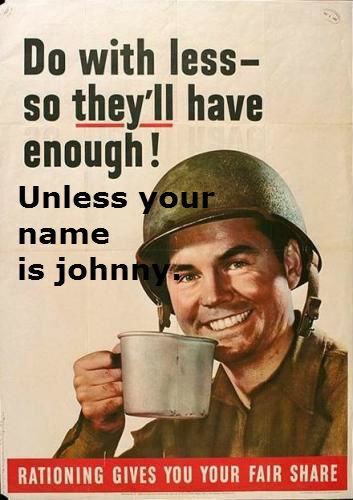 'What kind of name is Johnny?' The officer said. 'Your name sounds like a three year old child's name!' 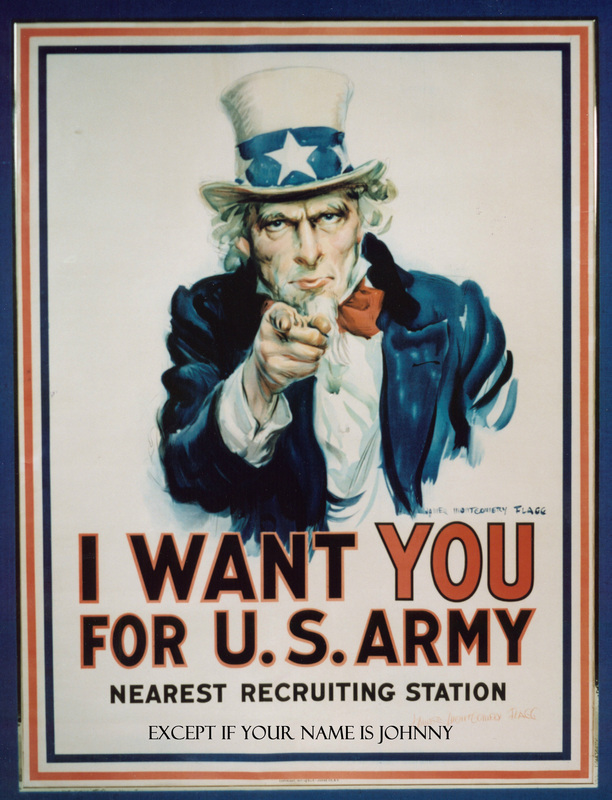 Johnny, who I don't care about his complaint wanting to be called Jones, was frustrated He said 'what about the Uncle Sam posters wanting you to join the army?!' 'Well sir,' The officer said, 'you should read those posters again.